I started working with Parachute last year and I feel so lucky to have them as a client. It’s a match made in heaven for me- great product, great team, great aesthetic. One of the things I did with them was style this campaign of humans nesting in piles of soft fluffy bedding. I have seen a couple of these billboards in LA but mostly haven’t been able to see these ads in person because I (secrets!) haven’t been to NY this winter. This is so exciting though! 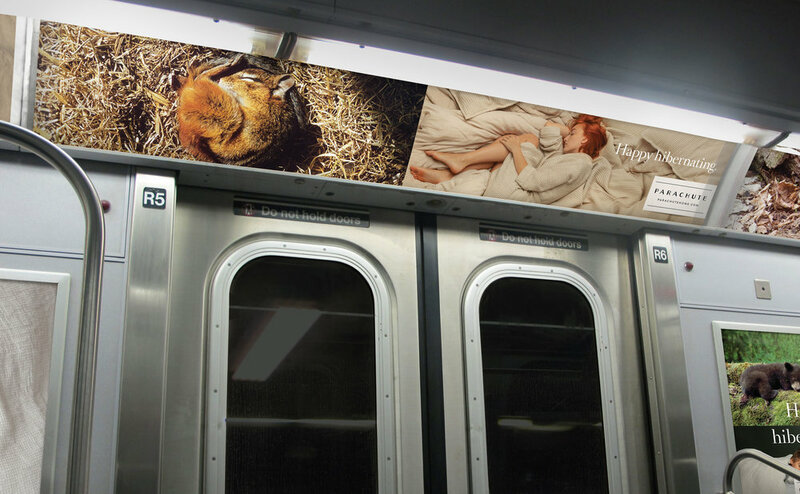 They seems to be everywhere, what a thrill it would be to walk into the subway and see work that I helped create or pass the posters plastered down NY streets. These images are all from Muse by Clio who wrote up a cute little summary of the campaign. If anyone sees these ads out in the wild, send me some snaps! I love seeing them! Spent a week at the Tiffany & Co. offices last year and am excited to share these delightful images. Photography by Kristin Wolford.